This project embodies the power of connections, collaboration, and last minute plans. On February 22 at 10:06AM Yeiniz Nevarez Olivo messaged me asking if I was available to work on a project that could be featured on Univision's red carpet event Premios Lo Nuestro. 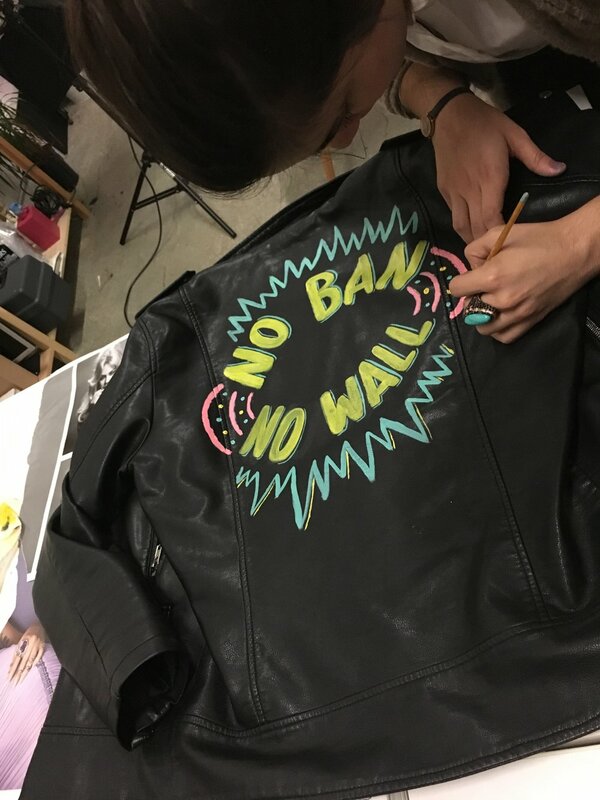 In under 24 hours the "No Ban No Wall" jacket was lettered and ready to wear the following evening on the red carpet by Periko of the Latin Grammy nominated band Periko y Jessi Leon. 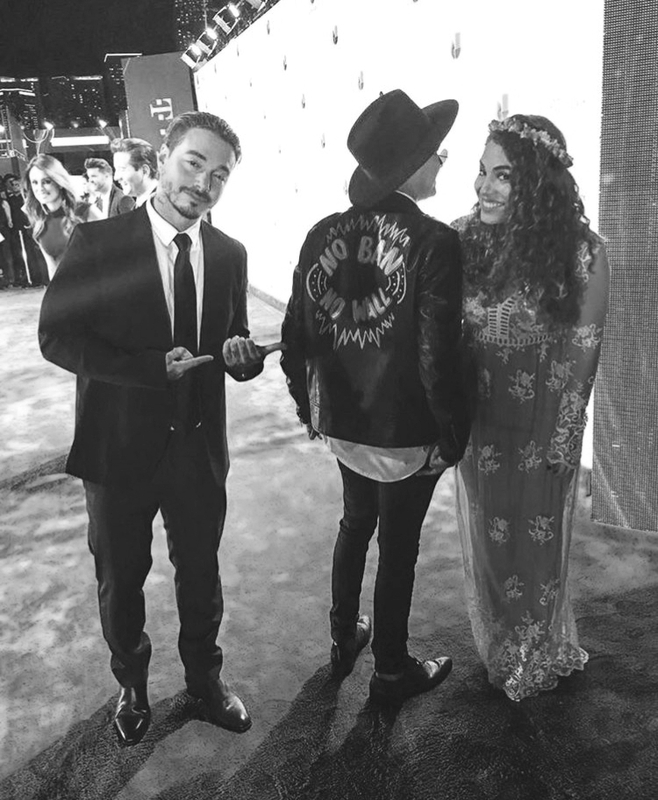 The jacket was approved by the likings of major latin singer JBalvin.